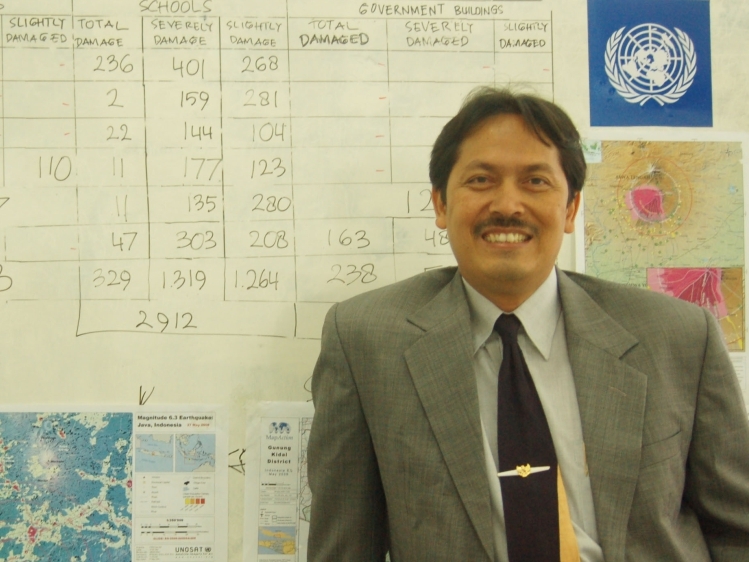 Dr. Puji Pujiono, the Founder and Senior Adviser of the Pujiono Centre and now a businessman, is one of the ASEAN region’s most respected and renowned disaster management experts. 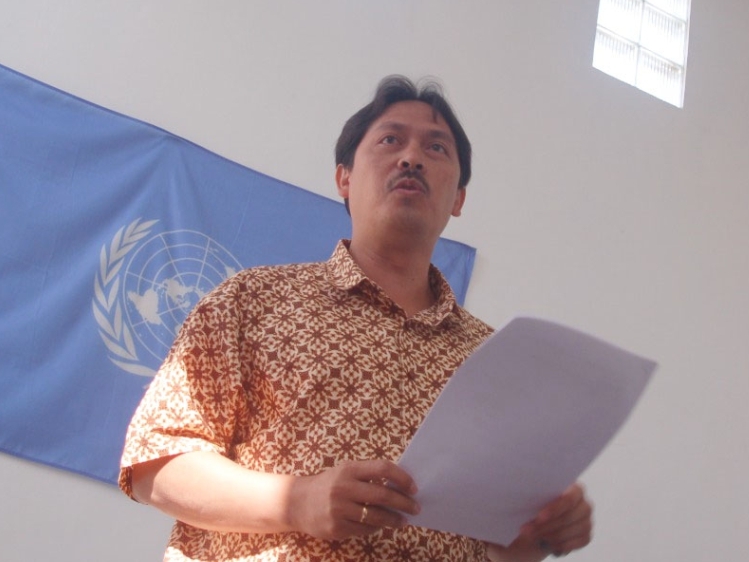 His reputation in the humanitarian and disaster management fields is acclaimed across regions from his works with numerous United Nations agencies, the ASEAN Secretariat, and organisations such as the Indonesian Red Cross to name just a few. A social worker by training and profession, Dr. Pujiono was naturally drawn into the disaster risk management sector through his firm belief and passion in humankind’s resilience to overcome adversities and great challenges. 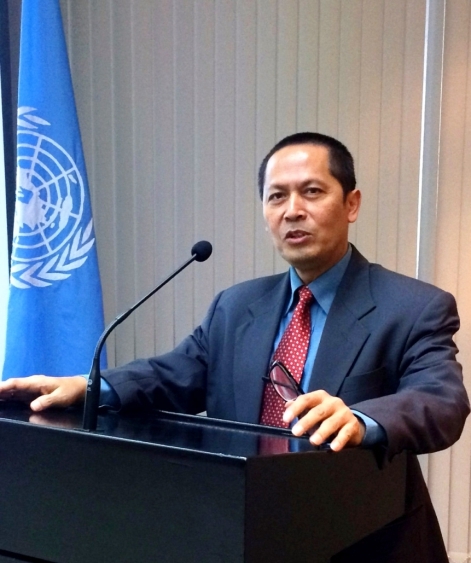 It was Dr. Pujiono’s work with the UN Refugee Agency in the early 2000’s that introduced him to the ASEAN structure. 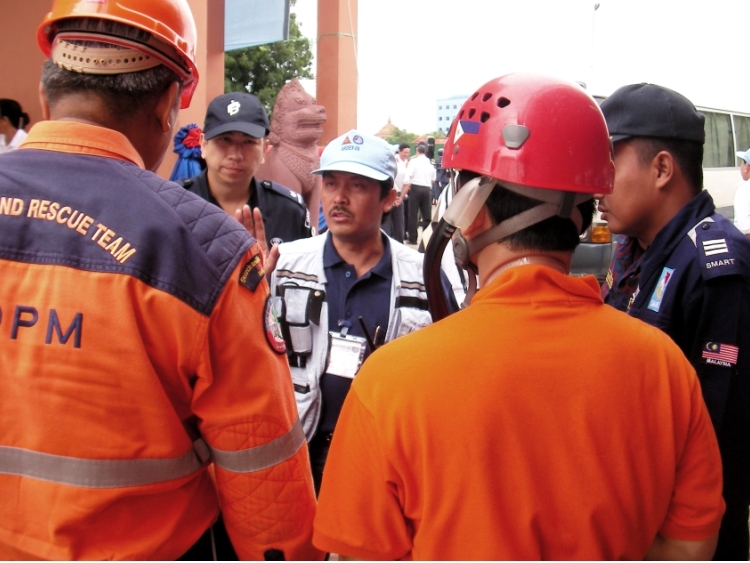 “It was at the conclusion of the first emergency preparedness training in Indonesia that I saw potential to sow the seed for regional cooperation in disaster management” he says. In one of the then-obscure provisions in the 1976 ASEAN Declaration on Mutual Assistance on Natural Disasters, he found content regarding Member States’ commitment to assist other Member States that are in distress. Dr. Pujiono tells us that during a session of the ASEAN Experts Group Meeting on Disaster Management, he put forward three hard-to-resist proposals. 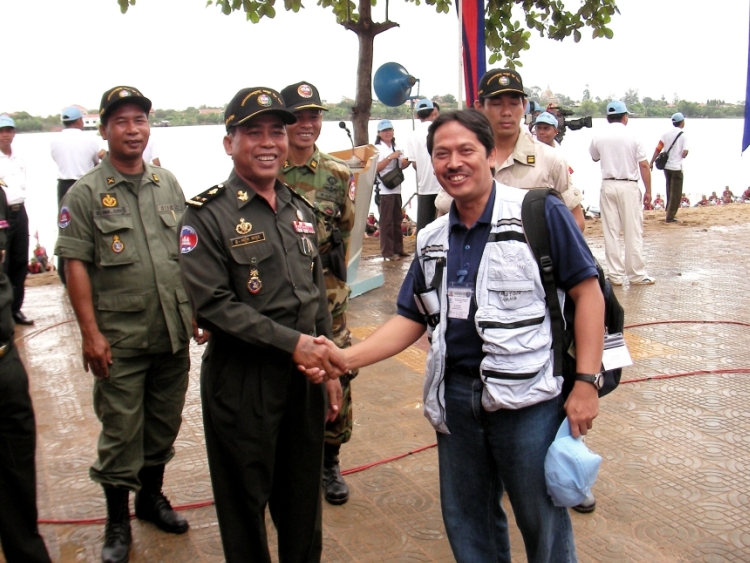 “The resources to meet every six months instead of every two years, my own expertise to support the group, and my own professional networking to connect ASEAN with the rest of the world of disaster management….and they jumped at it”, he recalls. Within the 18 months following that meeting, the infrastructure for ASEAN regional cooperation was instituted, that included the first ASEAN Ministerial Meeting on Disaster Management, a full-fledged ASEAN Committee on Disaster Management (ACDM), ASEAN Regional Programme on Disaster Management (ARPDM), and a draft regional agreement. The pivotal Indian Ocean Tsunami in December 2004 and the World Conference on Disaster Risk Reduction in Hyogo, Japan, in early 2005 presented the unprecedented momentum to accelerate the draft into what is now known as the ASEAN Agreement on Disaster Management and Emergency Response (AADMER). 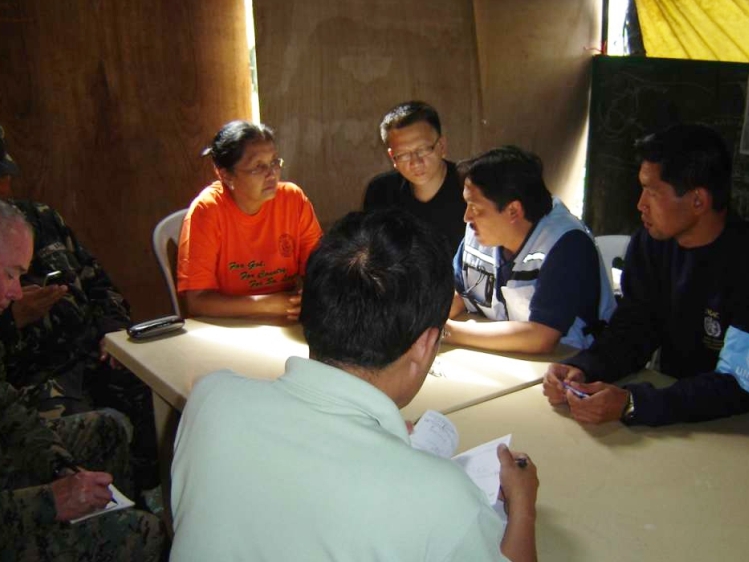 The Agreement sparked the idea to establish the AHA Centre, and since then has seen ASEAN develop to be among the leaders of disaster risk management actors across the world. While reminiscing about his roles in the formative years of ASEAN’s tremendous progress in disaster management, Dr. Pujiono’s greatest passion is for future efforts and opportunities. Now that disaster management has become commonplace among ASEAN governments and communities, as they move towards attaining ASEAN integration, the challenge is how to turn such high-level regional political engagement into real national and agency-level From his past work as the Head of UN Office for the Coordination of Humanitarian Affairs (UN OCHA) based in Kobe, Japan, with UNDP Headquarters in Geneva, as well as in the field and in other roles, Dr. Pujiono has witnessed the value that the AHA Centre has in developing and integrating real commitments from parties within and external to ASEAN. “The AHA Centre provides plenty of opportunity for all parties to share and pool resources, strengths and capacities, with the ultimate goal of making ASEAN a stronger region” he says. Alongside his new foray into the business world, Dr. Pujiono has also led the transformation of the Pujiono Centre into a regional disaster knowledge platform, while also providing technical assistance to the revision of the disaster management legislation in the Indonesian Parliament, and engaging as a businessman in the ESCAP Sustainable Business Network Task Force on Disaster and Climate Risk Reduction. From these new vantage points, he recognises that the value of the AHA Centre as the key coordinating body of disaster management in ASEAN is not only focusing on coordinating the disaster response parties. He stands ready to help the Centre rally the wider range of stakeholders to engage across the wider spectrum of disaster management as mandated by the AADMER. This would uniquely positon the AHA Centre as the nexus of ASEAN integration in term of strengthening resilience for sustainable development; that is from risk prevention, risk reduction, response, to recovery. Dr. Pujiono also looks forward to AHA Centre’s increased engagement on a global scale. “I see AHA Centre solidifying its unique characteristics to be truly ASEAN; a champion that is distinct from the UN, distinct from its international partners, and to be one of the world’s leaders in disaster management”. Written by : Christella Feni, William Shea | Photo : AHA Centre, Personal archive.